This story was written and reported by Laura Strickler of the CBS News Investigative Unit. 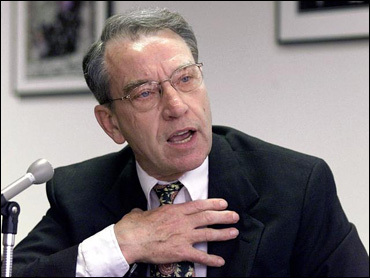 CBS News has learned Sen. Charles Grassley of Iowa, the ranking Republican on the Senate Finance Committee, is investigating six prominent televangelist ministries for possible financial misconduct. Letters were sent Monday to the ministries demanding that financial statements and records be turned over to the committee by December 6th. According to Grassley's office, the Iowa Republican is trying to determine whether or not these ministries are improperly using their tax-exempt status as churches to shield lavish lifestyles. The six ministries identified as being under investigation by the committee are led by: Paula White, Joyce Meyer, Creflo Dollar, Eddie Long, Kenneth Copeland and Benny Hinn. Three of the six - Benny Hinn, Kenneth Copeland and Creflo Dollar - also sit on the Board of Regents for the Oral Roberts University. A spokesperson for Joyce Meyer Ministries provided CBS News with an IRS letter to the ministry dated October 10, 2007, that stated: "We determined that you continue to qualify as an organization exempt from Federal income tax." The letter could not be independently verified in time for this story. The ministry also pointed to audited financial statements for the last three years that are posted on the organization's Web site. In a statement, Benny Hinn's spokesperson, Ronn Torossian, said the ministry is in the process of determining the best course of action in response to the Senate investigation. "World Healing Center Church complies with the laws that govern church and non-profit organizations and will continue to do so," Torossian wrote. Eddie Long's New Birth Ministries says he has received the request for information from the U.S. Senate and plans to "fully comply. New Birth Ministries has several safeguards put in place to ensure all transactions are in compliance with laws applicable to churches." In a statement to CBS News, Creflo Dollar called his ministry an "open book" and said he would comply with any "valid request" from Grassley. But he noted that the inquiry raised questions that could "affect the privacy of every community church in America." Paula White is also expressing concern about precedents that could be set by turning over the requested information. "We take our financial responsibilities to our partners very seriously and to the best of our knowledge we comply with all tax laws. Our audited financial statements appear on our website," said White, in a statement. "However, we are concerned about the possible precedent and ramifications of this request. We will be reviewing the request and its implications in detail over the coming weeks as we prepare our response." Anthony said after twenty years of working with media organizations to expose televangelists, he saw little reform. He says that's why he turned to another tactic, going straight to Grassley. He is confident that Grassley's inquiry will be different, "What we hope is that this will lead to reform in religious nonprofits." The structure of many televangelist organizations - in which the leadership is often concentrated in one person or one family - has itself been the target of criticism. "Churches like these are ruled as a dictatorship," says Rod Pitzer, who directs research at Ministry Watch in North Carolina, which provides advice for donors to Christian organizations. Pitzer welcomes the Senate committee investigation. Ministries lacking accountability, he says, "give a black eye to churches and Christians who are trying to do things in the right manner."